T.G.I.F! I am so excited for this weekend, mostly because it means I'm only ONE WEEK away from seeing the bf for the first time in OVER A MONTH! Gahh this whole bi-coastal thing is terrible! Since it's Friday, I'm linking up with Eat Pray Run DC, Mar on the Run and You Signed Up for What?! for the Friday Five Linkup. This week's theme is "5 Things to Love About ____". As Mich as I've missed the bf and my friends back in the DC area, I know that I've been lucky enough to move to an amazing new city. 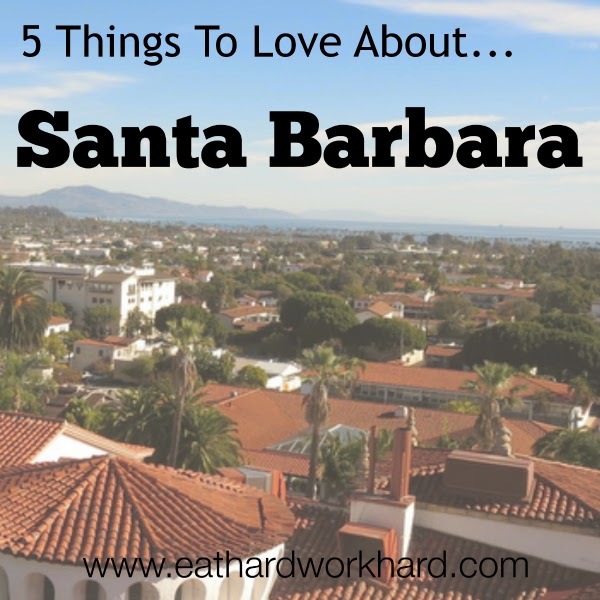 So to remind myself of that, I'm sharing 5 things to love about Santa Barbara. 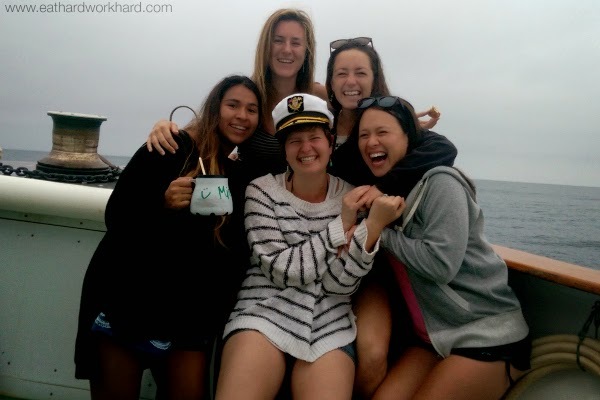 Before I moved to Santa Barbara, I was just starting on my 2014 goal to be a real runner and was still not the biggest fan of running outside. Being able to run in perfect weather along the beautiful California coast has changed all that, and the course views definitely helped get my through my first 10-mile race. 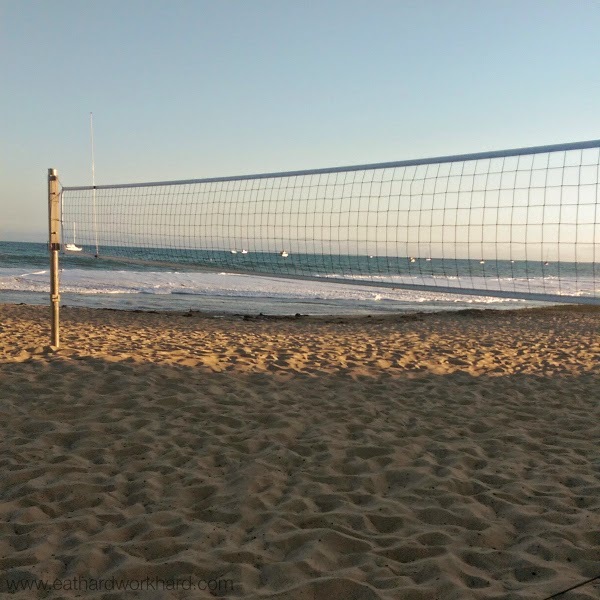 Santa Barbara has TWO beaches with permanent volleyball nets set up for public use, a great city rec league with doubles, triples, and fours beach volleyball for all levels, and a really great pick-up volleyball scene at East Beach. It's great exercise AND you get to be at the beach, getting a tan, and enjoying the great views (Of the ocean. Not the people. Although...). I've complained a lot about the lack of good Asian food options (can I get a decent Korean barbecue and Chinese noodle shop please?) 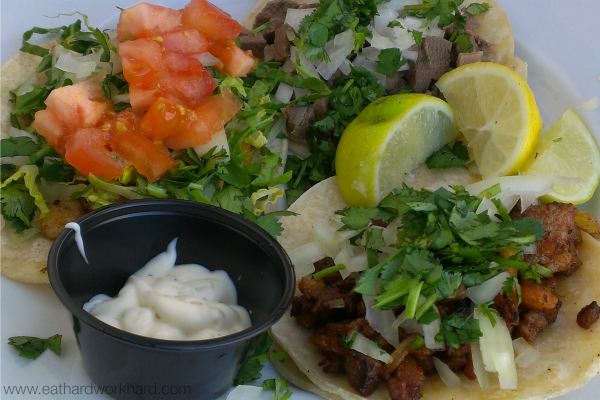 but one thing there is a ton of in Santa Barbara is delicious Mexican food. We have really great cuisine from all over the globe in DC, but the freshness and authenticity of the Mexican food here is definitely superior. The Urban Wine Trail is a collection of over 20 wine tasting rooms and even some production facilities located close to downtown Santa Barbara. I love that there is such a big and accessible wine tasting scene so close to the heart of the city. 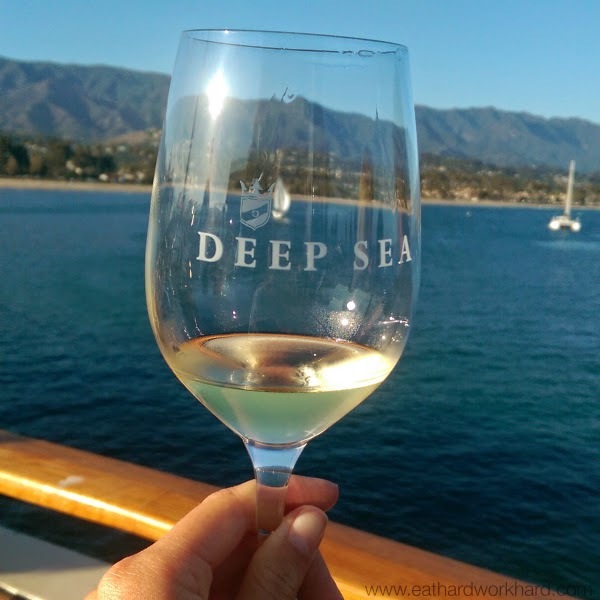 Not all of the wine is great (Deep Sea is actually probably the worst, but it has the most instagramable background) but the ambiance and experience is awesome. Definitely one of my go-tos whenever I have friends in town. Finally, even though I miss all my friends back East, I have met some pretty amazing people here, including these crazy girls. Plus, moving to a city where I don't know a single person has really forced me to get out of my comfort zone and work on that whole personal growth thing. Q: What are 5 things to love about your city? I would love to visit Santa Barbara! Ahhh beautiful! I love that my city has easy access to outdoor activities like boating and hiking. Thanks Heather! The fact that everyone is so active outdoors here too is another one of my favorite things! aww looks like you're having such a great time out there!! worlds different from dc haha. Jealous of your beautiful/humidity-free runs ! Love this post! I love my city because it has the ocean, trees and mountains all in one place, the weather is temperate, the people are awesome, there is great food and always something to do! I want that beach and that Mexican foo! Oh let's see, good schools, lots of great trails to run on, sunny most of the year, and a great downtown. Love Santa Barbara. It's just far enough way to feel like we're vacationing but close enough that we can go for a weekend and not miss work! Your city sounds great! 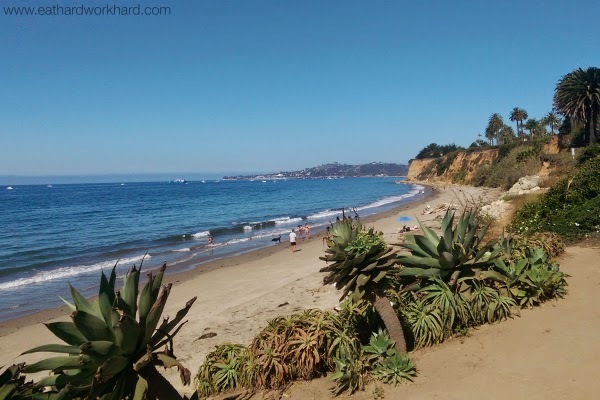 I also love how accessible Santa Barbara is to a whole lot of other great California towns. Definitely need to explore Orange County more! Santa Barbara looks so pretty! Gotta love a place with fun wine places, too! great post! sorry we didn't connect when I was there. I absolutely love Santa Barbara and need to do more downtown exploring next visit - which I hope is sooner than next summer! Oh, I MISS California! I used to live in San Diego and I visited Santa Barbara one time. My sis lives in Huntington Beach. You are a lucky gal!